As children play, they learn. Variety in the items they play with, will broaden their learning. What they learn is shown in their physical, emotional and social development, and this is especially important in the early years of life. Membership of a toy library may increase a parent’s understanding of the importance of play, of the different types of play and the stages of development at which these types of play are of particular importance. They will find a range of toys that will support their child’s development. Parents and children together can choose the toy that they find enjoyable. A place to borrow toys, games and puzzles to use at home. Provides toys of a good quality. Selects toys to provide entertainment, developmental and educational benefits. Is a voluntary organisation run by its member. Is for families with children ages 0-5 years. Has an annual membership fee of $40.00 per family (not per child). 1 of which can be a priority toy (these will be marked with a P). Plus 2 jigsaws or 1 Giant floor puzzle. Is a fortnight (unless we are closed for school holidays). You may re-borrow an item for another 2 weeks (as long as it is not a Priority toy). You must inform the supervisor on duty when reborrowing. Priority toys may only be borrowed for a maximum of 2 weeks. You must check the number of pieces in the toy (see the list on the box/bag) before you borrow it. Care for the toy and any boxes, packaging and instructions. Select a toy suitable for you child's age. Supervise play, especially when a toy has many parts. Return the toy clean and dry. Return all the pieces of the toy. 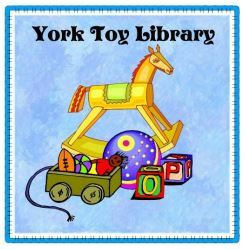 Help to run the toy library by assisting with session duties as per the roster (2-3 sessions per year). Attend the stocktake/clean-up day held annually. Provide your own batteries for battery operated toys. If you have any concerns for the condition of the toy due to normal wear and tear, please bring it to the attention of the Supervisor on duty. If you have any suggestions or queries regarding the Toy Library please contact a committee member. Remember – Check the number of pieces in a toy before you borrow it and before you return it! Contact the supervisor on duty to have the toys reissued to you. Toys may only be re-borrowed once and then you must return the toy so it is available to other members. Re-borrow the toy for the next fortnight (this gives you a chance to locate the missing pieces). You must pay the necessary fine. The fine will be kept in the fine box for six months. If you find the piece within that time then you should return the piece and retrieve the paid fine. If a toy is broken you must notify the supervisor on duty when returning the toy. A fine is payable for breakages but this may be waived by the supervisor if the breakage is for normal wear and tear. If a toy is badly broken and no longer usable, the committee ask that the total current replacement cost be paid, unless it is it is due to normal wear and tear.